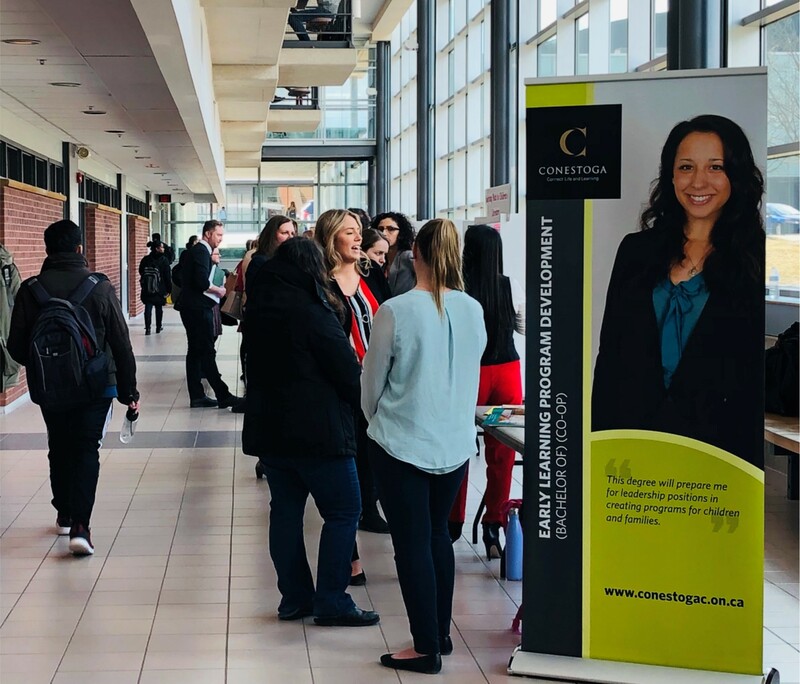 Graduating students in Conestoga’s Bachelor of Early Learning Program Development (BELPD) program presented research projects at a year-end symposium on April 3. Held at the Doon campus, topics included math in children’s literature, educator literacy practices, and equality and inclusion in policy. BELPD is a four-year co-op degree program that provides students with an applied understanding of enhanced education in early learning program development in the human services. Students experience authentic, situational learning opportunities that highlight links between theory and practice, preparing them for a number of progressive careers that support children, youth and families in the areas of program development, curriculum implementation and social policy work.